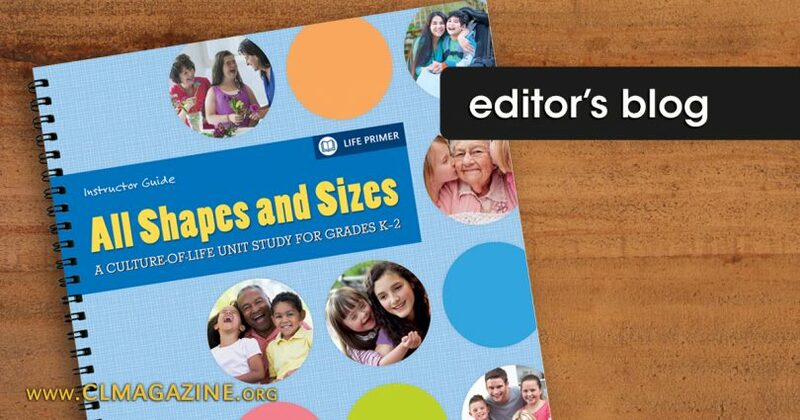 American Life League’s Culture of Life Studies Program (CLSP) launched a new pro-life school supplement called All Shapes and Sizes, which is now available and comes with several bonus items if purchased by Monday, March 5, 2018. All Shapes and Sizes is a 4-week unity study for students from grades K-2 and guides them in understanding the inestimable value of every human being as made in God’s own image and likeness. The supplement focuses on showing children how the beauty of the human person—from creation till death—is in no way altered by one’s appearance, abilities, or background. This new unity study is definitely worth checking out!